North Park, located northeast of Balboa Park, is one of San Diego’s best up and coming neighborhoods. Some say it has a hipster vibe, but I prefer to think of it as just a fantastic spot with an eclectic array of experiences to be had. I got a chance to spend a weekend in the area and explore much of what it has to offer. This guide should help you have a fantastic time in this special neighborhood and I guarantee you that the people and businesses will have you planning your next trip before you even leave. 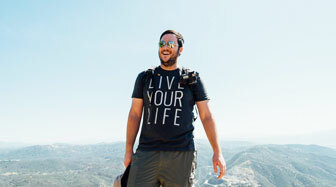 So without further ado, here is how to spend the weekend in North Park, San Diego. 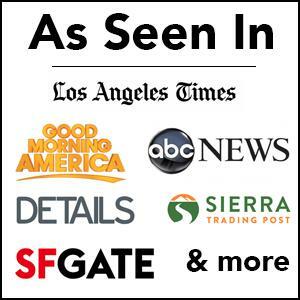 If you are driving down from any of the large Southern California cities then you will first want to know where you can stay and where you can park. On and off through the entire weekend I parked my car in the parking structure on Utah and University which cost about $1 an hour or $5 for the day. 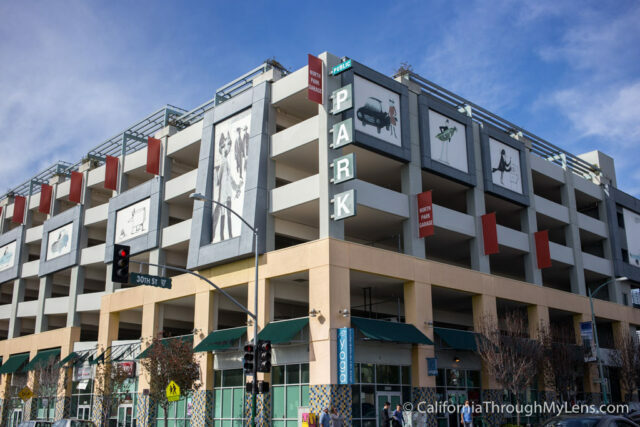 There is street parking available as well but I enjoyed just parking in the structure and walking to all of the locations on this list as they are relatively close. I usually opt for the best budget friendly / well reviewed hotel I can find. In North Park I usually end up staying at the Berkshire Motor Hotel which is a no frills hotel but it is close to downtown, well priced and clean. Since most people will opt to have a leisurely breakfast before heading down to North Park, this guide starts with lunch. In between the food recommendations there are all sorts of places to shop and explore as you walk the streets, just pop in whatever shops look the best to you. For a good, cheap lunch it is hard to beat City Tacos. This small restaurant has all sorts of epic tacos with each costing $3.50. 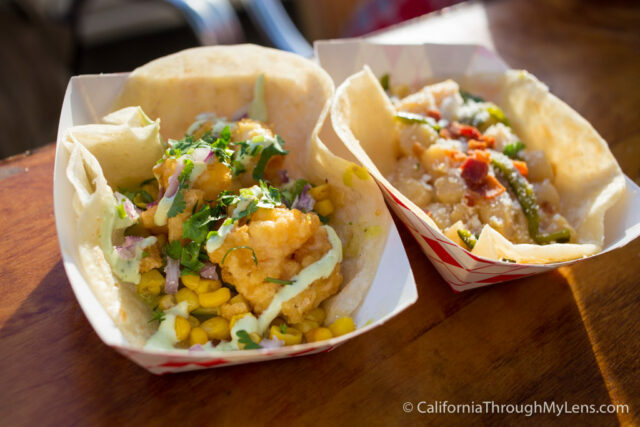 They range from a bacon bit and scallop taco to a shrimp taco. Everything is really good and it is one of those places I always stop at. Home to the incredibly popular Peanut Butter Milk Stout, Belching Beaver has risen fast in the San Diego brewery scene. 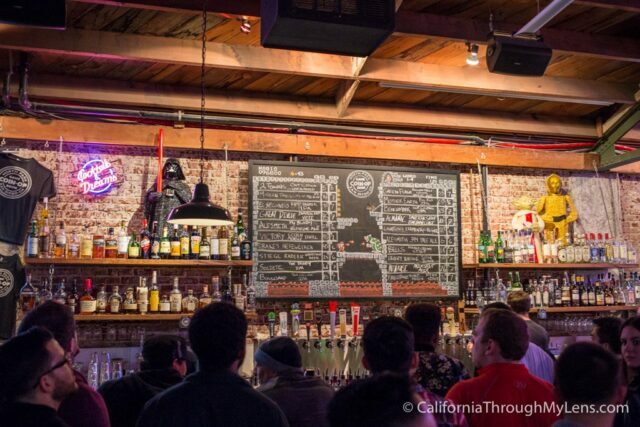 They have a location in the upper part of North Park where you can try all of their beers. 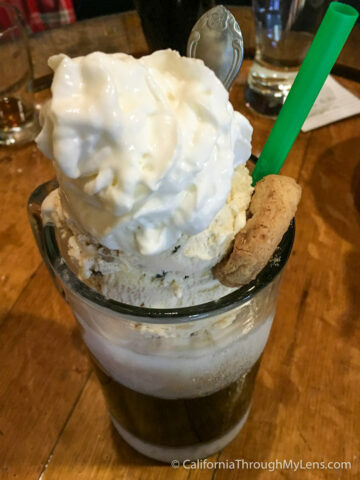 Belching Beaver is really fun if you are a foodie like I am, mostly because they make a beer float with their fantastic peanut butter stout, cookie dough ice cream and peanut butter cookies, what more could you ask for? 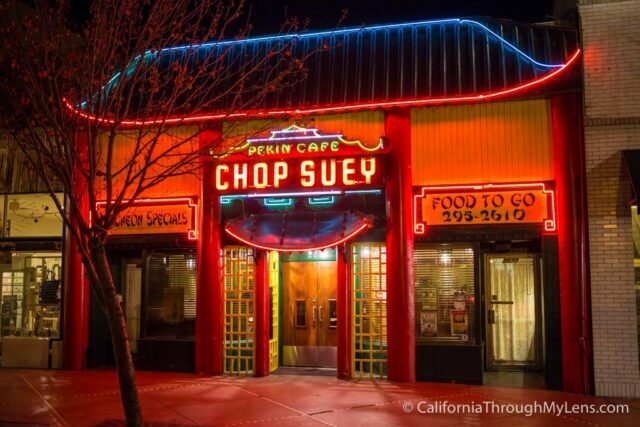 For dinner I recommend heading over to Chop Suey. This Chinese restaurant has been a staple of the area for over 80 years and serves up truly fantastic Chinese food. Everything from the atmosphere to the food is top-notch, plus the neon lit exterior is Instagram worthy. 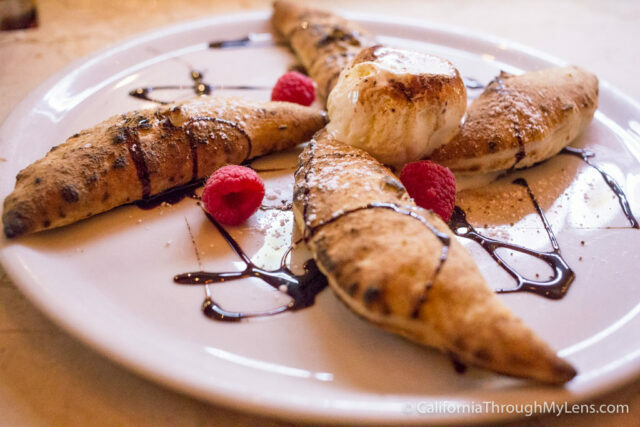 For an after dinner drink or dessert head over to Caffe Calabria. This is one of my favorite spots in North Park with great food and ambiance (it is fantastic for dinner as well with their pizzas).You can grab a seat at the bar or order a drink and sit in one of the two attached rooms. They have a lot of fun speciality cocktails and a dessert menu that includes a sweet pizza and a peach sorbet served in a hollowed out peach. They also make a whiskey ginger the old way, with egg whites, it’s fantastic and a Espresso Martini with coffee they roast in house. 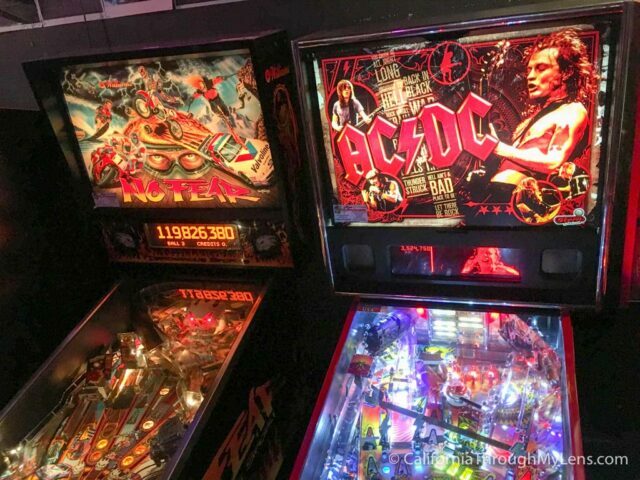 If you are feeling like the night is still young, then head over to Coin Op, a local favorite for the college crowd, but a great bar for all ages. They serve up lots of craft beer, along with eats like deep-fried Oreos and maple popcorn. Plus, they have a dozen old arcade machines that you can use your quarters on and it is right across the street from Caffe Calabria. Order – Any drink and bring dollars for the quarter machine. Since you spent the last day eating, why not start the morning with a little activity? With a few studios in the area, you can’t go wrong with whatever you pick. 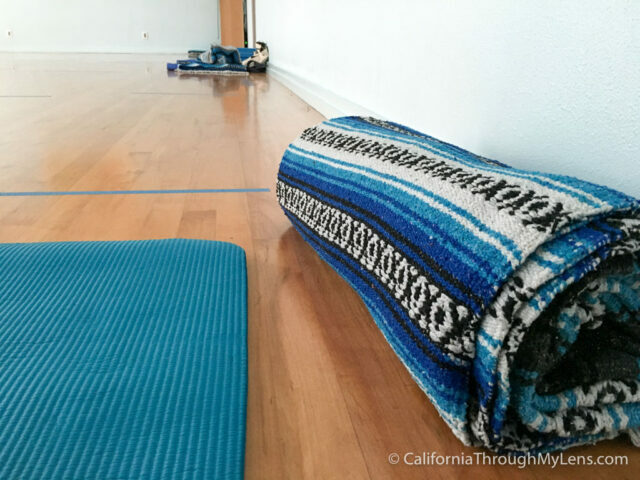 I like Pilgrimage of the Heart Yoga though as they have a beautiful spot right on the downtown drive and classes for all skill levels. They are a 2 minute walk from both the coffee shop and brunch place I recommend below as well and are located at the bottom of the parking structure. 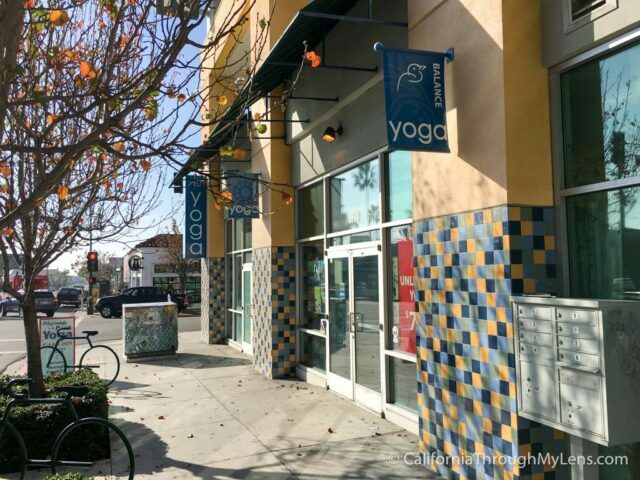 I took a gentle class there and the instructor was great, she made the class approachable for novice yogis like myself but still a good class for my wife who is a certified teacher. They had all age ranges and abilities in it, so it is a great way to start the morning. 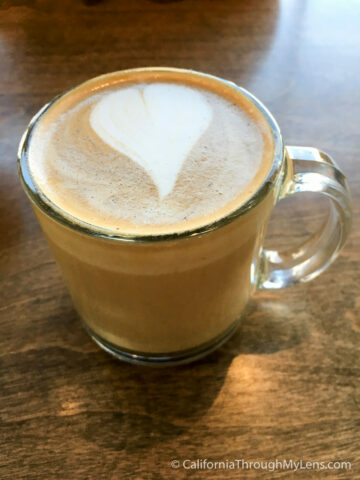 There are many coffee shops in North Park but Holsem Coffee caters to those looking for something a little more unique. They have multiple different types of cold brew concoctions, such as one with ginger snaps and one with homemade banana milk. Combine that with the clean interior and the collection of baked goods and you have the recipe for a fantastic spot. Order – “The Woods” which is a latte with maple syrup, nutmeg, sea salt, maple bitters and hazelnut milk or “Ginger Snap Cold Brew” with muddled ginger, nutmeg, maple syrup and cream. 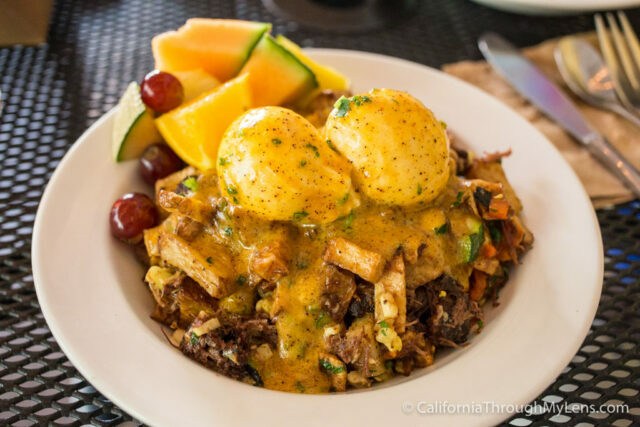 The Bluegrass Sunday brunch is where it’s at for brunch in North Park. The food is fantastic, with a menu of everything from oysters to Benedicts, and the bluegrass music adds a super fun vibe to the spot. Be sure to get there early and be prepared to wait a little, but believe me it is worth it. 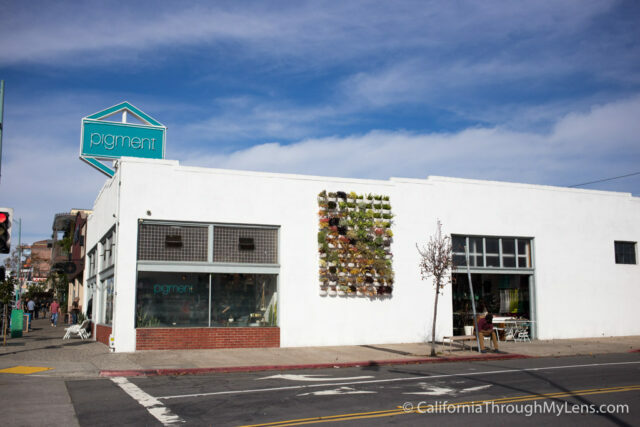 Pigment has a unique collection of gifts, plants and home goods. My wife fell in love with this store and ended up going three separate times over the weekend for something she had previously “forgot”. The highlights of the store are an area where you can design your own terrarium and a photo booth for taking pictures. 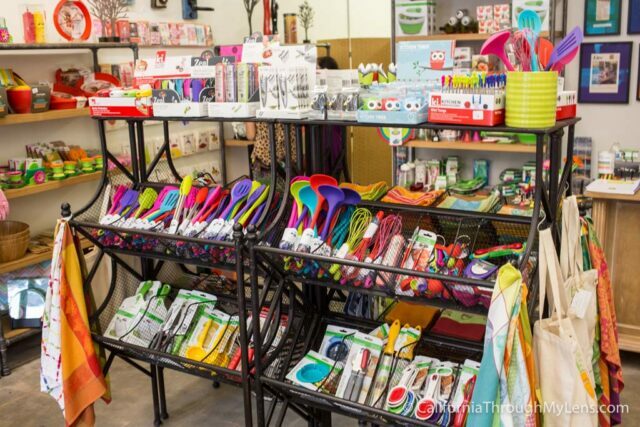 This little store has a fun, vibrant selection of home decor and kitchen items. They had all sorts of things I hadn’t seen before like a microwaveable omelette maker and hand painted mugs. It’s a fun spot to explore, especially if you are into kitchen gadgets like I am. 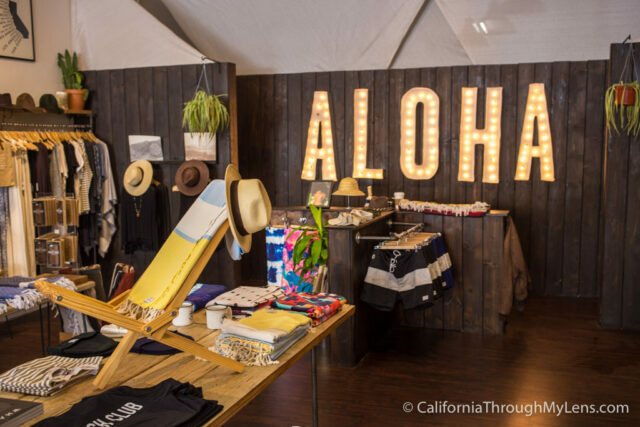 This shop has a Hawaii surfing vibe with tons of unique products ranging from art prints to blankets. There were a lot of items that I wanted to take home with me from this store and it is worth checking out. By this time you are surely ready for a snack or a drink, here are my recommendations for both. For a drink head over to Mike Hess Brewing. 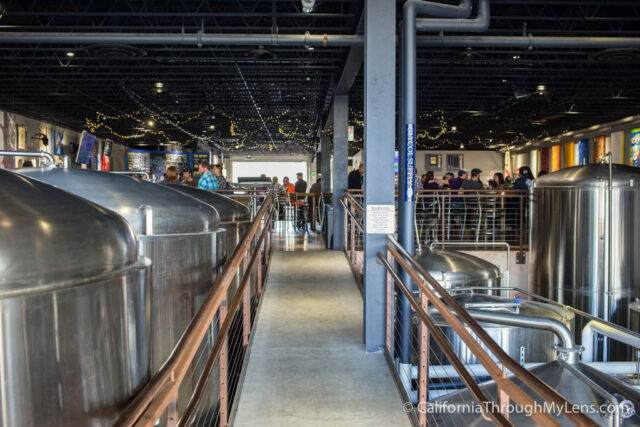 This brewery is housed in a large building with an entry way bridge that takes you over the vats of beer fermenting below. The tasting room itself is large and inviting with lots of tables and daily rotating food from some of North Park’s best eateries. 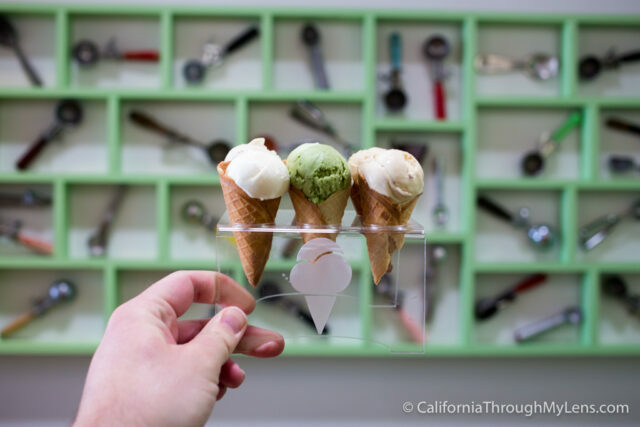 If you want something sweet instead of beer then head over to Hammond’s Gourmet Ice Cream where you can get an ice cream flight. This beautiful invention includes six mini waffle cones full of six mini scoops of ice cream. It is a fun spot for the whole family and they have over 30 flavors to choose from. 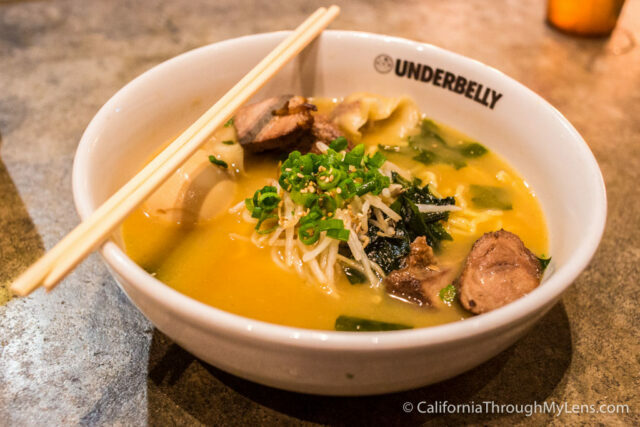 For my dinner recommendation, before heading back to wherever you drove in from, I would recommend stopping at Underbelly. I am a huge fan of ramen and the atmosphere of this restaurant with the large communal stone tables makes this an easy recommendation for a fun meal. 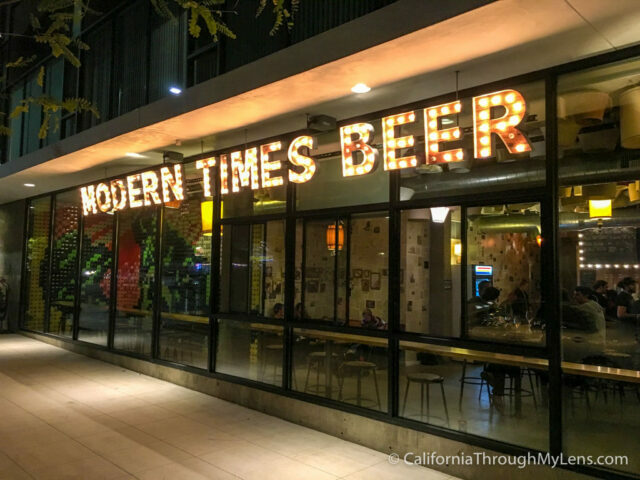 If you are heading to Underbelly, consider heading to Modern Times tasting room which is right next door. This spot is really fun with a retro feel, it even has floppy disk art walls and antique lamps hanging from the ceiling. Of course their beer is great as well and they sell their own coffee that is roasted at the main brewery. 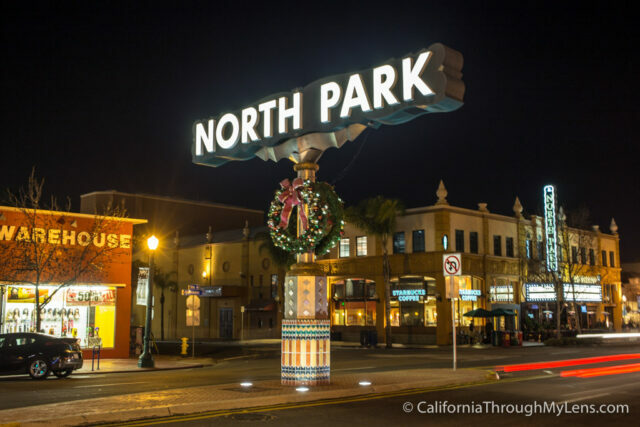 So as you can see by the above guide, I am a huge fan of North Park, San Diego. Now its your turn though, what did I leave off from this guide? Let me know your favorite spots in the comments below.